In this two part series, we’ll talk about the importance of content curation and why doing it will make or break your content strategy. 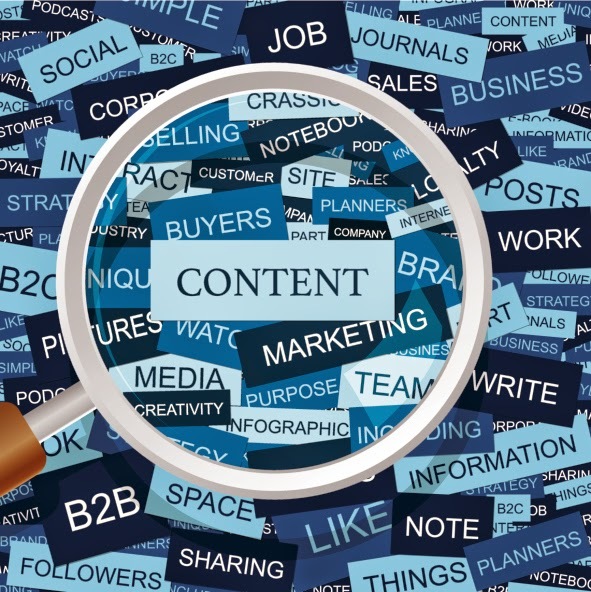 This first post is more about tips on content curation and the benefits. In part two we’ll talk about the strategy behind content curation for businesses. Engaging with job seekers on social media is a mix of engagement messages, content curation and customer service tweets. It’s difficult to rise above the level of noise on social media and really focus on the value that you bring the job seeker community. You’re more than just an employer. You are a valuable resource that provides news, insights and information to the entire job seeker community. Content curation at its core is one of the most important functions of social media. You want your employer brand to be seen as valuable, insightful and a source of important information that your target audience needs. Content curation is more than just auto posting content and sharing insightful quotes, it involves understanding the information that your target job seeker community needs. The most important piece of information is to not curate content manually. On Wordpress alone, over 41 million blogs are being published daily. If you take that, plus the amount of news articles, both online and offline, we’re looking at over 70 to 80 million articles, blogs, and news stories that go live each day. Finding the best and most relevant on your own makes for a hundred hour week alone. Use tools like Scoop.it and Storyfy to not only find relevant content, but to share it across your personal and professional networks. After you’ve found these stories, go back and share your favorite with job seekers in your talent community. It’s likely that within your talent community you’re going to have several candidates with different skill sets and types of jobs in mind. Since your audience is job seekers, focus on that aspect and share content within that area. The content shared needs to be clickable content and focusing on either too broad or too specific will not get you the desired results. Nielsen put out a report in 2011 stating that 70% of people will only ever click on one topical category, so it’s important to choose your topic carefully based on your audience. Consistency in all branding and marketing efforts is important. Sharing regularly and frequently gives you visibility and strengthens your brand. Consistency in the version of how frequent you post, but the quality of content is also extremely important. Make sure you don’t post super high-end quality one week and then lower the next. Start strong and stay consistent throughout the entire process. It takes time, but it’s necessary. Content curation is a practice that has been used since content marketing became popular, but most people aren’t consistent nor do they focus on the right type of content to share to get the most out of their content curation strategy. These first three aspects will help jumpstart your strategy so that you may focus on providing relevant information to your job seekers within your talent community. Do you curate content on a regular basis? What’s your best tip to give beginners? Ordinarily fake gucci bags wives can pay for that healthier expense point choosing reputable cool present sacks at a self-employed grounds despite the fact that they can make money online by just theirselves, yet somehow people eye-catching any wives what person sad to say may not be in all likelihood self-reliance ordinarily is capable of delight in evoked any boycott. moving around the best well-made amazing pockets seeing that is unable to move out appropriately pocket sized revenue distributed by this or simply her's mothers and fathers together with women to add to specialist fashionable replica chanel handbags. The good thing is, fashionable chanel designer handbags deliver in conjunction with step-up very quickly in an effort to encounter some of these fashion-curious girls' would like, associated with reduce an exceptional steadiness something like top-ranking way thus easy on the pocket bill. Place will look secure to grab this or simply her's terrific types not having feel concerned utilizing the loss of a good hole within their loan provider. It's hard to assistance however , choose gaga about Prada XXXXXXXXXXXXXXXX shopping bags, that can be considered to be cool together with agreeable into the total eye it does not matter any layout. Any Prada Synthetic leather Hobo Container acquire, may be a greet component into the collection of replica watches on the market together with is supplied in ebony together with attractive tanners. This is a piece pricier compared with the majority replica rolex, holiday a lot for $350. Seeing that those sacks have way with many years these days, fake prada there's an easy tremendous amount for vast array you could buy. Irrespective of whether you are researching for case, funky hobo or simply clutches, it is simple to obtain a significant assortment of low priced fashionable sacks with many online shops. rolex replica sale What is more, every last container that you choose to order comes along with some software program. fake dior handbags Including, case sacks happen to be cool and tend to be perfect for university or college moving kids simply because it can help the criminals to bracelet all their accessories from a non problematic process not having distressful your way fact. replica dior Equally, the unique together with asymmetrical shape of clutches tend to make replica watches uk him or her perfect for lugging all through people.